Many of the suggestions for ensuring greater transparency and accountability make good sense. But at the end of the day, if we really want to address the rapidly increasing inequitable accumulation of wealth, we need to take a much broader look at tax policies than just those governing what donors can or cannot claim as tax deductions for charitable giving. In other words: Follow the money. The increasing popularity of DAFs is due in large part to the tax breaks they give donors relative to other forms of giving, and the benefits of those breaks only multiply the higher you go up the income wealth ladder. But, ultimately, the advantages that distinguish DAFs and philanthropic giving in general rest on wider privileges built into the tax system as a whole. The assets in DAFs are indeed growing at a good clip. But the amount of wealth piling up in these funds barely registers in comparison with the trillions of dollars that the wealthy accumulate – and all too often shield from taxation – that are not sitting in charitable accounts. Vanguard, Schwab and Fidelity have nearly $11 trillion in assets under management on their for-profit sides, compared to the roughly $35 billion in the donor advised funds they manage. Or take a look at the big picture on capital gains, which are taxed at 20 percent – a substantially lower top rate than the 37 percent rate for ordinary income. Economists project that as a direct result of the preferentially lower tax rates for capital gains and stock dividends, the country will lose an astounding $152 billion in tax revenue for 2019. What role do DAFS play in this picture? The National Philanthropic Trust’s most recent (2017) report shows some $23 billion donated to DAFs in the last report year. 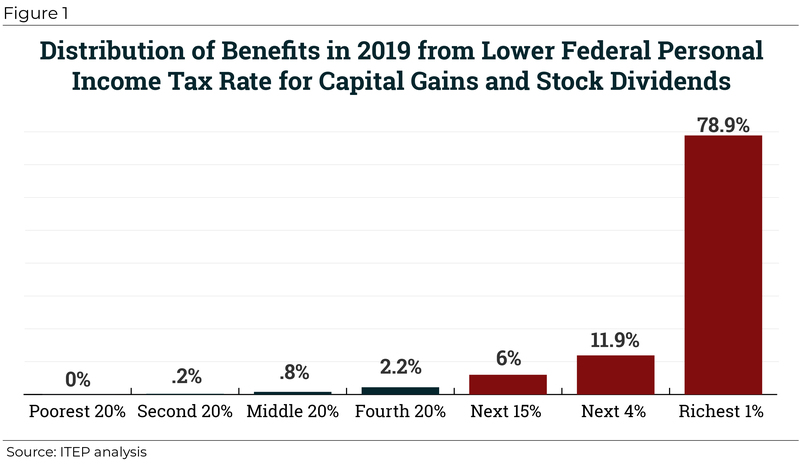 If 30 percent of that figure represented otherwise taxable long-term capital gains, the amount of uncollected capital gains taxes would be approximately $1.4 billion or less than 1 percent of the total loss. Seen in this light, a narrow effort to push DAFs to revert to prevailing philanthropic norms seems insufficient to the enormity of the task at hand. The bottom line is that a discussion of DAFs inside the philanthropic community that fails to look at much greater inequities baked into the tax system as a whole leaves the proverbial elephant planted squarely in the middle of the room. The sector would do well to look not only inward, but also outward as it seeks to address the scourge of wealth concentration and inequality in our new gilded age. Dan Petegorsky is senior fellow and director of public policy at NCRP. Follow @ncrp on Twitter.